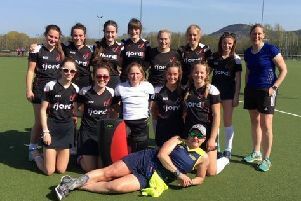 Selkirk hockey star Sarah Robertson earned her first GB cap when competing against world number 11 side Spain in the first of a three-match series in Valencia. Great Britain claimed a series win against their European rivals as head coach Danny Kerry’s side finished with a 2-0 victory in their final match, having won the first game 1-0 and drew 1-1 in the second meeting. “I was really honoured to get my first GB cap and getting the win made it even more special for me,” said 21-year-old Sarah, who has made 52 appearances for Scotland.